In 1981, as part of our ongoing review and evaluation process, Trenton PAL recognized the need to provide services other than athletics. It was at that time the Scholarship Program was formed . This program is open to all area high school seniors intending to continue their education at either a college or trade school. The scholarships are processed by PAL Scholarship Committee and awarded based upon academic achievement, financial needas well as extra-curricular activities. To date, PAL has awarded $194,000 in scholarship assistance to deserving young individuals. Applications are released in October of each year and are available through the school's guidance department, directly through PAL or by clicking the below link. Welcome to an exciting experience for Middle School and High School Students in Trenton, NJ. 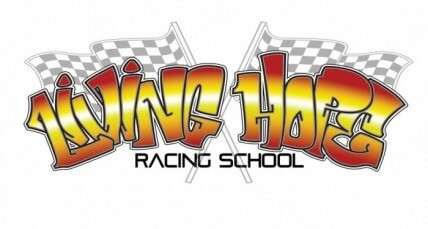 We help youth learn how to build, fix and race go-karts in a competitive setting. It is a great opportunity for urban youth to get into a field they usually don't have the finances to pay. We are located at the TRENTON PAL center at 401 Farragut Ave., Trenton. an e-mail at: empower@livinghopetrenton.com . Living Hope Empowerment Centerwas conceived in response to the increasing needs of lower and middle income, inner city families. Birthed in Trenton, we endeavor to be a private, not-for-profit, faith-based organization whose mission is “to holistically empower urban families.” Incorporated in 2006, the Living Hope Empowerment Center is intent on establishing collaborative partnerships with local organizations, churches, and private agencies, in order to offer a comprehensive range of programs and initiatives including educational, vocational, recreational, cultural, spiritual, and motivational training. The Empowerment Center is housed in the Trenton PAL Community center in Trenton's East Ward.